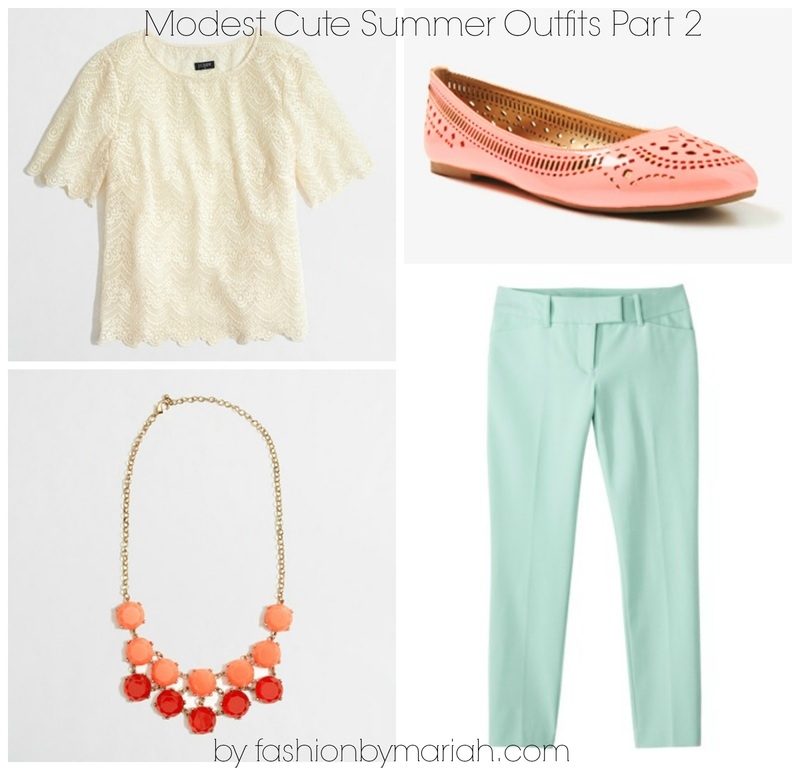 I got a lot of good feedback from the post I did about Modest Cute Summer Outfits so I thought I would do another post about it. :) I know how hard it is to find modest and cute summer outfits. I know that summer is sadly getting close to ending but we still have a few more months of warm weather. I hope you all are having an amazing week! I have been such a slacker when it comes to blogging lately and I am sorry! I have had a lot going on and next week I start a new job. I am so excited but nervous at the same time. Right now I am a just a junior loan processor and I will be switching companies and becoming a senior processor. It will be a good move for me and a great step in my career! 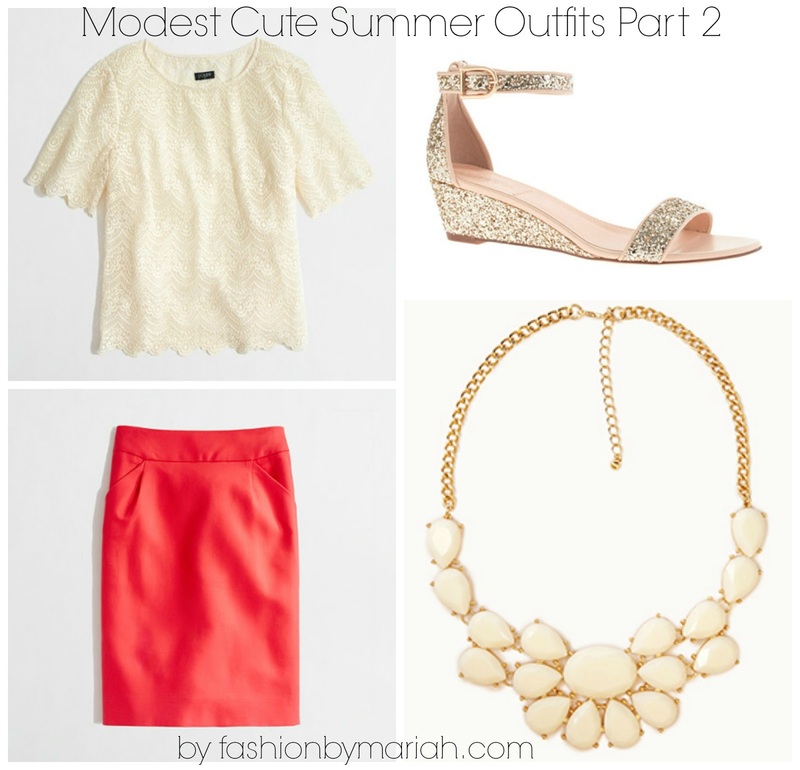 In LOVE with the lace top and the gold shoes! !